Asha 311 is a decent budget smartphone, but everything has its downsides. One such downside of Asha 311 is the inability to turn off camera sounds in most of the regions (like India) where the device is sold. 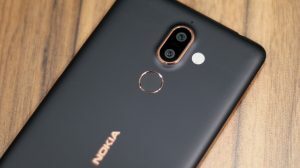 Nokia has always been in compliance with local laws and policies prevailing in a particular country, hence no allowance to turn off camera sounds in many of the Asian sub-regions plus many other countries. This is all done to stay in compliance with the law here that restricts the user to click someone without his/her notice. Update: The download link has been fixed. 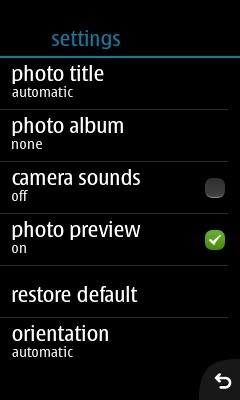 Download this Backup file (named Camera Sounds) from here. Transfer it to your phone, or else if you’re downloading it on your phone, just continue to the next step. Open this file on your phone and confirm the Restore from Backup which the phone will ask. Tap on continue and then initiate the restore from backup. The phone will restart and that’s it. The camera sounds will be turned off and you’ll also start seeing an option in camera settings to turn the sounds on or off anytime as needed. The backup file is just created on Asha 311 running different software variant of a country where turning camera sounds off is allowed. The backup file only contains settings, but there’s no other change in settings, hence all your personalized settings will reset to default. You need to set them as per your need again. Your personal files or applications will not be affected however. After backup process is completed.. Does phone ask for the memory card password??? You cannot do that. It is impossible. You cannot set brightness on the 311. There used to be an option in Settings. Settings> touch, I guess. Sorry but been long since I used an Asha phone. The link says “This file is no longer available”. What to do? The sugarsync free service was discontinued and unfortunately due to my exams, I failed to mirror the file to another service. Prithvi, I have fixed it. I am doing a firmware change of Asha 311. Can you tell me from which country this backup is? Or, better tell me the best variant in all respects for this phone like the UK one or any other European country. I am from India by the way (as if you wouldn’t know). I used the ROM from Latin America to build this backup. All of them are kinda the same. However I heard that the Chinese ROM has some sort of SWYPE keyboard aswell. Try if you wanna. Thanks man! Lot of help. But the “Chineese” firmware, surprising!! Tanmay, if you are able to successfully change the firmware, then please share it here. singhnsk is what comes. tellme what to do with it since my internet explorer is giving warning on codes. i was unable to download the camera shutter thing! the issue is am told download in progress but nothing happens afterwards. am using a PC. hi. i bought a new memory card but my asha 311 keeps crushing the memory card. all the time it asks me to format the memory card. i have done it again and again but no response. kindly use my email for reply. Well.. Which card is it? Branded one? It might be corrupted already. Try formatting it using a PC and see if the situation improves. I used a PC to fomat the 2GB micro SD memory card but there is nothing better when i put back on the phone am still asked to format. That’s certainly very strange. I’d try another card to see if its an issue with the card or the phone. Is there any way to fix proximity sensor of Nokia asha 311 . And what’s wrong with it? Seems working fine over here. Now My camera shutter is off thnx…. Who is creating this wonderful thing? Can you create for radio recorder function for asha 311 too? This phone doesn’t have that function. 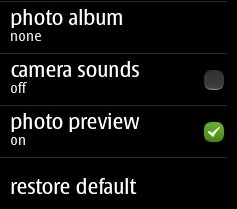 mhmm.. Nah actually the Camera Sound option was always there. Just hidden. and i am unable to recieve any files from bluetooth although i can send files..
when I turn the phone side wise to have a better grip over the Messaging , sometime it turns sometime it doesnt . Play a 360p MP4 instead. How to minimized apps (uc browser) in my nokia311. You can’t do that. Forget it. any crack for brightness adjustments or copy paste function????? Haha.. Just a tiny effort. is anyone here experienced the same case? Nah. That can’t be done, Anshu. Its a firmware level thing. Will this works on Nokia Asha 501? No! Don’t try it on the 501. That’s a different platform. Sorry. I don’t have a 305. Working fine here. Any error? There is no front Camera. One is the Proximity Sensor, other is the Ambient Light Sensor. Where i post this topics? Does nokia asha 311 support motion senser games? I set a password in memory card to protech from other people in my nokia asha 311 but memory card still unlocked.How i protect my memory card? Told you already that there’s no way available. The password is for locking down your SD Card so that it can’t be used in any other phone or the PC. It won’t prompt you for the code again unless you reset your phone to factory settings. Try keeping any confidential data in hidden format and it won’t appear in the files or gallery. Please consider staying to the post’s topic. You’re going off-topic a lot. Sorry not back file its back up file. I downloaded this back file in my phone memory but when i want to use this to restore, when i open it via mobile its says file formet not supported. What to do? Now. Thanks in advance…. Thanks for helping me remove the shutter sound of the camera ! You’re the best ! Phone works on fine. amezin man. unbelievable thinking !! Hey thanks a lot for the camera shutter sound disabler! U ROCK BRO! THANKS A MILLION! trying to use this backup will change everything? Nothing more than resetting the settings back to default. uhh don’t get me wrong, I installed that setting like a month before the incident happened, my phone just hanged then restarted then when it opened, the default setting was back. Hi, I was about to comment on this post a month ago 😀 But I forgot. After installing that back up, my phone suddenly went blank. Can’t really open it, it just shows the “nokia” on start up, then it will freeze, then blink blink, then it will repeat the process. I am raifanning that time, thats why I need to shut off the camera sound. I’m almost halfway to the center of Manila when I decided to head south where my nokia care is situated. After reaching nokia care, they said that my phone needed reflashing as per my software was corrupted. So I left my phone there and after a day, I recieved it back. Just to add in, the backup file worked in phones with non-indian variant of the software, so I don’t know why it actually won’t work for you. yeah …asha 311 cant connect wifi. LOL What all have you lost? 😛 Hahah.. alright I’ll try creating that..
No bro , the phone is neither operator branded nor it was sold on subsidy . But the operator gave a 4 GB 3G offer on the first prepaid sim card inserted in this phone (it was printed on a sticker over the box) . What if I call the operator and ask for some kind of unlock code , will they give it to me or not ? And if they don’t , should I flash the phone or go to Nokia care ? Operator locks are usually not unlocked even if you flash it or whatever. Contact operator and if it isn’t a restriction on their side, you can move over to Nokia Care. But I believe its an operator stuff. ::Singhnsk:: u always rocks pls create like these somthing more for nokia asha 311. 1 : you know any solution to fix wifi errors can you do something to fix that errors. You’re talking about Nokia Music. Right? Or the main Music thing in the menu? Not the music app music storme the app given to download songs in nokia which is so called nokia music store. Seriously need to check this out. damn… well i expect fixed these bugs (resets,hangs) and a good Stability and Performance improvements, thanks! Yeah.. hopefully its not just a version number change and really brings some bug fixes. If it won’t crash, I’m happy! Hey bro a question… U know if the Asha 311 have a2dp ? gsmarena in the Full phone specifications only say :Yes, v2.1 with EDR and in the review say:Bluetooth 2.1 with A2DP support. Hehe.. Awesome then xD Enjoy! That’s how it is. For today’s screens, videos need to be more on width. Hence no portrait orientation. I have another question singhsk . My nokia Asha 311 works only with the prepaid sim that was first inserted into this phone and no other sim of either that network operator or any other operator . Only one sim. When I insert any other sim it says : No sim card detected , start up phone without sim card ? I have restored the factory settings once but the problem still persist. Please tell me something about this problem and a solution ? Seriously no idea. If the phone isn’t detecting any other SIM card, chances are that the phone was sold to be bound with the SIM which is first inserted. You might be needed to call your operator’s helpline and see if indeed the phone is locked to your account only. If that’s not the case, maybe Nokia Care is the way to go. I’ve only seen this type of stuff happening with iPhones, and not Nokia feature phones. Definitely not on prepaid. But maybe a security feature of your operator. Is the phone operator branded? Sold on subsidy? I tried to turn off camera sound,camers sound offed but on home screen preloaded games appearing twice. Backup your stuff and try resetting to factory. some times my asha 311 is restarting suddenly while using chat app. That’s happening with everybody. Make sure that you’ve updated the software to the latest version which improved it a little. huh? Virus in S40 phones? Are you kidding? The thing is that a virus CAN appear in the memory card if you plug it into computers attacked by viruses. But still, the phone will have no harm. Viruses just can’t play with the filesystem of these phones. Nor can they run in the background. So even if a virus exists in your memory Card, your phone is always safe. Clean your memory card in a PC and its all fine. Hi man, it is working. Thanks. I got one problem though, my Asha 311 is working without memory card after installing the backup file you made but when I insert the memory card, i can use my asha 311 only to call, but no menu or anything available besides that. Do you have any suggestion what do I need to do? This is strange. You might be needed to format your memory card in that case. Try it! Backup important files and format it once. I can’t backup because it says “file corrupted”, so I just formatted it anyway. do you know how to make it stop? Danke for everything, maybe we should ask WA to figure it out for us. So we wait until nokia fix it? Oh man.. Better click picture through the normal camera app and then send it via Whatsapp. Thanks for that trick singhsk. 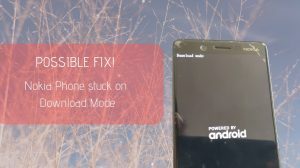 How to hide files in this phone ? I have tried Blue FTP and other java apps but all of them say access denied. BlueFTP will work fine to hide files in phone memory and memory card (just not the locked/protected files). All you need is a signed version of the app which has enough permissions to access the filesystem. Thanks for reply .I dont know anything about the technical approach for it. But as a normal man, i have one idea. That feature is availbale in asha 306. Is it possible to extract the file corresponding to that feature and make a restore file as what u have done above. If possible please do,i bought it because in Shop they told that it is there,but now it is not there. If not possible leave it. Anyway thanks for the above “camera-sounds” app . Well mate.. This doesn’t seems possible being the option to turn off camera sounds always existed in the firmware and was only hidden, whereas the recording menu isn’t even built up in the firmware. And there’s no way by which we can edit and add/remove elements into the firmware. Sorry, but that’s it. 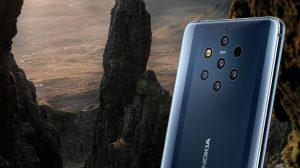 Let’s just hope that Nokia updates the phone software with recording support. You can’t recover most of the files. Still, you can try using a Disk Recovery Software on your computer. Thank you so much. Good job, its working on my 311. Is there any app fr screen lock like the ones fr android ,maze lock fr my Nokia asha 311? Not possible. Its a java phone. No app can take control over any of its default functions. Feels great that it worked for you 🙂 Thanks for the comment. Pls i am using nokia asha 311 i want an antivirus and android style slide locker because it will be nice.pls make it for me. does it work with nokia asha 306 ? No. Sadly it won’t, because backup can only be restored on the same phone model on which it was created.